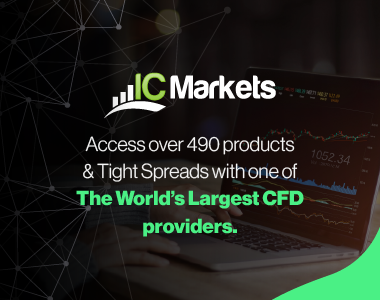 Yesterday’s action shows that the EUR/USD saw a relatively soft response to comments made from both the ECB president Mario Draghi and Fed Chair Janet Yellen. As you can see, the 1.12 handle proved a difficult level to overcome, with the H4 candles still remaining firm above this point. Seeing as how there’s been very little change to the structure of this market, much of the following report will echo thoughts put forward in yesterday’s analysis. Looking over to the weekly picture, the shared currency is currently trading from the underside of a major resistance area seen at 1.1533-1.1278. Down on the daily chart, however, the pair is still seen flirting with a rather large support area penciled in at 1.1224-1.1072. Our suggestions: Regarding 1.12, our view remains the same: buying from here is risky due to what’s been noted on the weekly chart (see above). A close below 1.12, nevertheless, followed up with a retest to the underside of this vicinity, along with a H4 bearish close would be sufficient enough to condone a short in this market we believe, despite prices lurking within a daily support area. Targets for this setup can be seen at 1.1131-1.1143: a H4 demand, followed by the H4 support at 1.1075 and the 1.11 band (green zone). Not only is 1.1075/1.11 a good take-profit area for any shorts in this market, it’s also a fantastic barrier to look for longs. It sits within the depths of the aforementioned daily support area, as well as converging with a daily trendline support taken from the low 1.0516, a deep H4 88.6% Fib support at 1.1081 and also two H4 AB=CD bull pattern completion points (taken from the highs 1.1366/1.1327). Although this H4 buy zone will very likely bounce price, do keep in mind that by entering long from here you’re effectively buying into weekly flow. As a result, waiting for at least a H4 bullish close to form prior to pulling the trigger may be the better path to take. On the data front today guys, we’re going to be keeping a close eye on US GDP scheduled for release at 12.30pm, US pending home sales is also an interesting one at 2pm, as well as the Fed Chair Janet Yellen taking the stage at 8pm (GMT). Buys: 1.1075/1.11 [H4 bullish close required] (Stop loss: beyond the trigger candle). Sells: Watch for a close below the 1.12 handle and look to trade any retest seen thereafter (H4 bearish close required). Much like its big brother the EUR/USD, the GBP/USD also took on more of a sober approach yesterday. Perhaps the most compelling factor was the key figure 1.30 holding ground, despite price closing below this level. Well done to any of our readers who managed to jump in long at this point, as this was a noted barrier to look for buys from in Wednesday’s report. As was also discussed on Wednesday, the overall target for this trade comes in around the H4 Quasimodo resistance at 1.3091, which happens to merge with the 1.31 handle and a H4 trendline resistance taken from the high 1.3371. However, given the predominant trend on this pair pointing in a southerly direction at present, we would not recommend setting and forgetting this trade, simply because price has a good chance of turning ahead of our H4 target at the underside of the daily resistance zone seen at 1.3064-1.3104 (the next upside target on the daily timeframe). Other than the above setups we see little else to hang our hat on at the moment. Checking out the H4 chart this morning shows that price is currently en route to the Quasimodo resistance level coming in at 0.7698, following a rather aggressive push (going into yesterday’s US session) north from lows of 0.7644. This Quasimodo barrier was, as you may recall, somewhere our team was looking to short earlier on in the week. Having placed a pending sell order at 0.7697 and price missing it by a mere two pips was quite disappointing. All may not be lost though! As we highlighted in yesterday’s report, if price should retest the 0.7698 neighborhood today, we would look to short here again. The only difference being is that we’d require at least a reasonably sized H4 bearish close to form (showing us that the bears still have interest here) prior to us pulling the trigger here. In support of a sell from this neighborhood, the daily chart shows that the buyers and sellers are battling for position within supply logged in at 0.7719-0.7665, which we believe will eventually force weekly prices to close back below the current weekly trendline resistance taken from the high 0.8295. Sells: 0.7698 region [H4 bearish close required] (Stop loss: beyond the trigger candle). Despite US (core) durable goods orders data and the Fed Chair Janet Yellen taking the stage yesterday, the USD/JPY pair remained soft around the H4 resistance level penciled in at 100.82. It is only in the last few hours have we seen a breach of this hurdle. Now, given that this break is supported by a daily demand base coming in at 99.53-100.23, and also a weekly support at 100.61, we feel that the bulls are largely in control right now. In the event that the current H4 candle closes beyond the above said H4 resistance band, we would, as we mentioned in our previous report, be looking to buy any H4 bullish candle formed off the top edge of this level, targeting the H4 resistance area at 101.41-101.62, followed by the 102 handle. Technically speaking we believe this setup to be valid, despite the predominant trend pointing south. From a fundamental standpoint, nonetheless, do keep a tab on the BoJ this morning as Gov Kuroda takes the limelight at 6.35am. Also on the docket today, we’ll be watching US GDP data at 12.30pm, US pending home sales at 2pm, as well as the Fed Chair Janet Yellen taking the stage at 8pm (GMT). Buys: Watch for a decisive close above the H4 resistance 100.82 and look to trade any retest seen thereafter (H4 bullish close required). Following reports that OPEC agreed to limit oil production yesterday saw the oil market launch itself north, reaching highs of 47.41. This, as a consequence, pushed the USD/CAD pair aggressively lower! Price wiped out multiple H4 tech supports and now looks as though it’s en route to touch gloves with the key figure 1.30 this morning. From a technical standpoint, this move came about within the upper edge of a weekly supply zone drawn from 1.3295-1.3017, and from the underside of a daily supply barrier coming in at 1.3405-1.3259. With the daily support at 1.3029 now seen within touching distance, and, of course, the 1.30 level lingering just below this, what direction do we see the pair headed today? Well, between 1.30/1.3029 we feel a bounce higher is likely to be seen. However, this bounce could be a short-lived one if weekly sellers continue to push lower. As such, we would advise waiting for at least a H4 bullish close to form around this area before buying here. A H4 close below 1.30, nonetheless, would be interesting, since this would not only confirm bearish strength from the aforementioned weekly supply zone, but also open the path south for the H4 candles to cross swords with demand seen at 1.2910-1.2925. With that said, to trade this move, we’d need to see price retest the underside of 1.30 as resistance, followed up by a reasonably sized H4 bearish candle. With stops placed above the head of this trigger candle, we would, dependent on the time of day, look to sell. In addition to this, remember to keep an eye on US GDP data at 12.30pm, US pending home sales at 2pm, as well as the Fed Chair Janet Yellen taking the stage at 8pm (GMT). Buys: 1.30/1.3029 [H4 bullish close required] (Stop loss: beyond the trigger candle). Sells: Watch for a decisive close below the 1.30 handle and look to trade any retest seen thereafter (H4 bearish close required). Seeing as how the EUR/USD had a rather lackluster session yesterday, it should not come as much of a surprise to see the USD/CHF, an inversely correlated market, also chalking up very little activity. Price spent the day hugging the underside of a H4 resistance area seen at 0.9706-0.9721. As a result, much of the following analysis will put forward similar thoughts advertised in Wednesday’s report. Looking up to the weekly chart, there has been very little change seen on this timeframe for a while now. Since the beginning of May, the pair has been consolidating between a supply zone painted at 1.0092-0.9928 and a support band drawn from 0.9581. Down on the daily chart, however, price is currently positioned within a support area carved from 0.9648-0.9708. Should buyers fail to continue defending this zone, the next barrier of interest beyond this area can be seen at 0.9541: a support level. Meanwhile, a break to the upside from the current base could see prices challenge supply coming in at 0.9818-0.9793. Our suggestions: The only setup that remains on our radar is a break above and retest to the top edge of the current H4 resistance area (see black arrows). To be on the safe side here guys, we recommend waiting for at least a H4 bullish close to form prior to pulling the trigger here, since let’s not forget that weekly action could still stretch down to tag support at 0.9581. On top of this, data points to be aware of today are US GDP at 12.30pm, US pending home sales at 2pm, as well as the Fed Chair Janet Yellen taking the stage at 8pm (GMT). Buys: Watch for a decisive close above the H4 resistance area at 0.9706-0.9721 and look to trade any retest seen thereafter (H4 bullish close required). In view of the weekly timeframe now crossing paths with resistance penciled in at 18365, we may see US stocks rotate from here. In line with this, we can also see that price recently connected with a daily resistance level at 18322. Although the unit is effectively trading above this line at the moment, we will not deem this barrier consumed until we see a decisive close beyond here. In spite of the above, in the last few hours there has been a H4 candle close painted above a resistance area drawn in at 18321-18349, which could potentially act as support and push prices up to supply coming in at 18466-18447. So, with the above points noted, does one look to buy above the recently broken H4 resistance area, knowing they may be trading against both weekly and daily flow? To our way of seeing things, this would not be a place we’d look to buy. The risk is just too great. To become sellers in this market, nonetheless, we would need price to print a H4 bearish candle around the current H4 area at 18321-18349 in the next few hours, emphasizing a H4 two-candle whipsaw (a fakeout). This would, along with the higher-timeframe resistances in play, be enough to convince us to short here, targeting the H4 demand base given at 18179-18206. Sells: 18321-18349 [H4 bearish close required] (Stop loss: beyond the trigger candle). The yellow metal, as you can see, continued to decline in value yesterday, consequently reaching lows of 1317.8 on the day. In that price has now connected with the top edge of a daily demand base seen at 1305.3-1322.8, we would be very cautious about selling from the H4 resistance area coming in at 1331.8-1329.6. In fact, if this market rallies, we’d expect this zone to eventually be taken out. Weekly action still shows room to push lower down to the support area at 1307.4-1280.0, which effectively means that we may see a push deeper into the current daily demand before the buyers make an appearance. The H4 support at 1316.0 and the H4 Quasimodo support at 1311.8 may both bounce price, given the connection they have with the above said daily demand. Nevertheless, to trade these levels we’d recommend waiting for a reasonably sized H4 bullish close to form before pulling the trigger, as there’s a good chance that bullion may push through these H4 hurdles to tag in the topside of the aforementioned weekly support area. Buys: 1316.0 [H4 bullish close required] (Stop loss: beyond the trigger candle). 1311.8 [H4 bullish close required] (Stop loss: beyond the trigger candle).